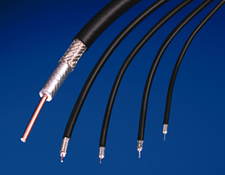 Electronics / Rail Transit | Judd Wire Inc.
Judd Wire manufactures an extensive line of coaxial cable,crosslinked electronic hook up wire, OEM power and data cables with more than 200 UL and CSA approvals. Our broad offering of high performance radiation crosslinked insulators and enhanced thermoplastic compounds enables us to provide product solutions for the most demanding customer requirements. As an early adapter of the RoHS directive, Judd Wire’s data communications and consumer/industrial electronics products are now available in many compliant constructions. Applications include: communication equipment, automotive telematics, test & measurement, wireless/RF, military equipment, medical electronics, appliances, and rail transit.